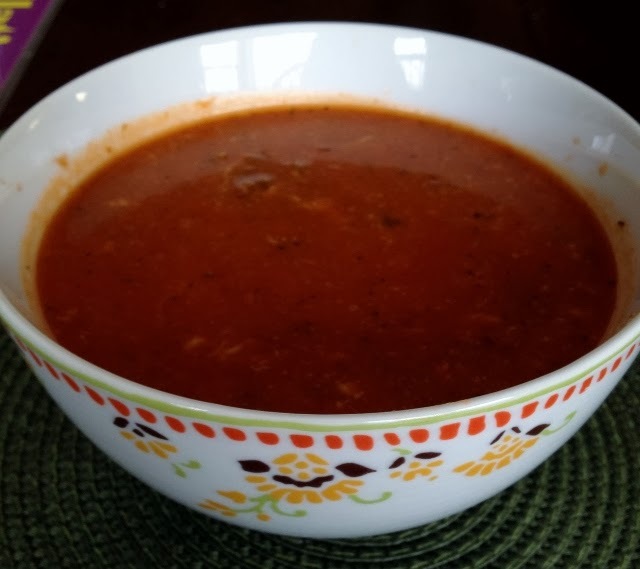 I made a recipe today that my kids loved--Pizza Soup. It really did taste like pizza and if you add saltines or oyster crackers, it seems like there is a crust. Brown ground beef in a large pot. Drain grease. Add spaghetti sauce, tomato soup, Italian seasoning and water. Bring to a boil, then simmer for 15 minutes. Stir in cheese and cook until melted. You may save some cheese to add as a topping. Serve with saltines or oyster crackers. Recipe (modified slightly) from Taste of Home Kid Approved Cookbook. I'm thinking about this for supper! Sounds good! I bet this soup warms a person up on a cold day. This could become a family favorite. Thanks for sharing with your readers. What a new and different soup recipe to try with the kids, very interesting, love the flavor combo in this. YUM!